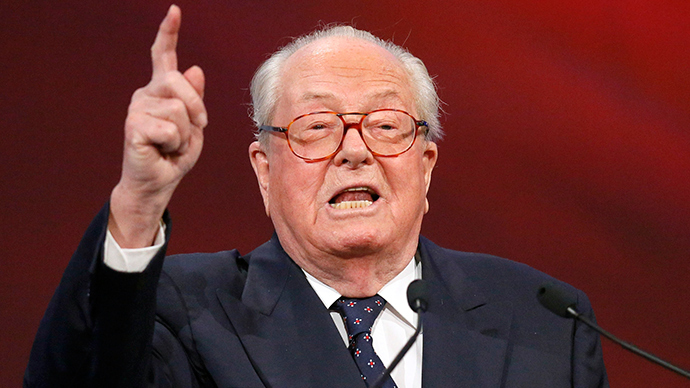 Jean-Marie Le Pen, the former leader of the right-wing National Front party, was injured when a fire broke at his home in Rueil-Malmaison, French media reported. The condition of the 86-year-old veteran politician wasn’t serious, BFM TV reported, citing sources familiar close to the matter. Le Pen is said to have a bruise on his face. He was taken by firefighters to get medical assistance. The fire was relatively strong, but its cause wasn’t immediately reported. Initial reports on social media say either Le Pen was injured in an arson attack or targeted by a gunman. The rumors proved to be false. Le Pen, who unsuccessfully ran for the French presidency five times, is a controversial figure in French politics due to his hardline conservative agenda and sometimes scandalous statements. The latest controversy he sparked was in the wake of the Charlie Hebdo massacre, when Le Pen claimed the attack was staged by the secret services. He resigned his position as National Front leader in 2011, citing a “demonization campaign” against him. His daughter Marine Le Pen currently heads the party.